Drink Ideas for All Your Holiday Party Guests! The holidays are here, and with so many holiday parties on the horizon, it’s easy to leave the drinks to the last minute! Let me help you find all the best drinks to serve to all your guests this holiday season! Beer is in the midst of a renaissance. Consumers have larger and more specialized selections, they care more about food and beer pairings, and beer connoisseurs are on the rise. What‘s a person who is a non-beer drinker to do? One solution is to start with refreshing beers that are easy to drink and offer a little extra flavor. An excellent beverage to serve for non-beer drinkers this holiday season is Redd’s Apple Ale, an apple-flavored beer at five percent alcohol per volume with low malt and bitterness cues. This gives it a crisp, clean finish and allows the natural apple flavor to come through for a perfectly balanced sweet and refreshing taste. Crisp like an apple, brewed like a beer, Redd’s Apple Ale is the perfect holiday gift as it is also available in Strawberry and Green Apple flavors at retailers nationwide. Redd’s is a beer, not a cider. A cider is made using fermented apples juice (similar to wine). Beers are brewed. Rocky’s Ginger Beer has an easy solution when it comes to gifts for friends or family and it’s the Moscow Mule Kit! All it requires is a 6-pack of Rocky’s Ginger Beer, 2 copper mugs, a bottle of vodka and some limes – perfect for a White Elephant Party and sure to delight any recipient. 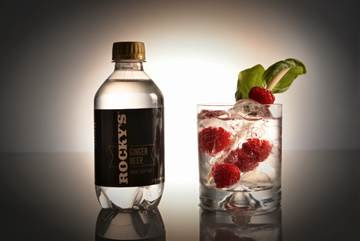 A great cold weather cocktail mixer, Rocky’s Ginger Beer’s spicy-sweet combo packs the flavor for dads, brothers and boyfriends, and with 50 fewer calories than its competitors, the ladies in their lives can have that one extra cocktail without the guilt (kids can indulge as well – this beverage is non-alcoholic and comes in a convenient, resalable bottle). You can purchase Rocky's Ginger Beer online. Crystal Head Vodka is an award-winning, ultra-premium beverage produced in Newfoundland, Canada. This vodka is additive-free and Kosher certified. Dan Aykroyd and John Alexander wanted to craft a vessel worthy of one of the world’s purest vodkas. A symbol of life, reflecting power and enlightenment, to hold their award-winning white spirit of super natural purity. High quality peaches and cream corn and the pristine waters of Newfoundland are used to produce Crystal Head. Crystal Head contains no additives. No glycerol, citrus oils or sugars. Nothing is added to enhance or mask the taste. The vodka is distilled 4 times then filtered 7 times, of which 3 are through semi-precious crystals known as Herkimer diamonds. The result is a naturally smooth, ultra-premium vodka, held in a bottle designed by world-renowned artist John Alexander. If you have a wine lover who is also a dog lover attending your holiday party, then they will love when you serve Baron Cooper wine! This wine brand was created to raise awareness for the plight of all rescue animals in need. By buying their wines, you are helping to support animals who can't speak for themselves when they need help the most. You can purchase Baron Cooper wines online at the Baron Cooper website. Skinnygirl® Cocktails has everything you need to get in the holiday spirit.These delish, low-cal options make a great hostess gift or present for the foodie in your life! You can purchase all Skinnygirl Cocktails at your local spirits retailer.